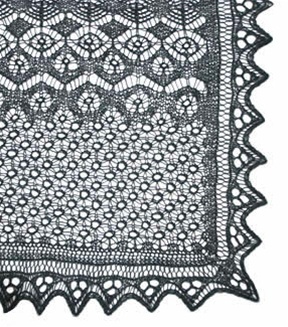 The Inky-dinky Spider Stole features traditional Shetland lace patterns, which with a little imagination resemble spiders and their webs. Recommended for experienced lace knitters. Finished size is about 31" wide and 79" long. 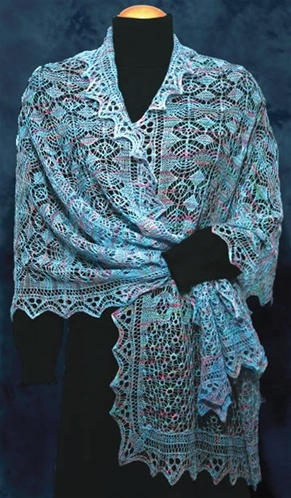 Uses about 1650 yards laceweight yarn.